EVGA ACX 2.0 fans use double ball bearings, which offer 4X longer lifespan than the sleeve bearing fans used by competiors. The oil that is used in sleeve bearing fans makes them vulnerable and prone to failure after time when the oil dries up. Upgrade to EVGA ACX 2.0 and your card will go the distance! Other Thoughts: Just know what you are buying. This card runs 1080p games acceptably but starts to decline getting into higher resolutions. I bought it almost 3 years ago for $260, I would say it's still worth $300. This is not a card for future proofing but for the present games. Cons: I purchased the GTX 1060 SC in November of 2018. I submitted a rebate with them the same month. They claimed to have sent my rebate 2x, but I never received it. Five months later, so basically close to half a year later I finally received my rebate card. When I went to check the balance, it said that the deducted $10 from my rebate for replacing the card. They are basically penalizing me for something that either the rebate processing company messed up or the post office messed up. This was the worse rebate experience I have ever went through in my life. EVGA tried to blame the rebate processing company, but they are still ultimately the company that is responsible to their customers. We as consumers have no direct contact with the rebate processing company. EVGA just blames everything on them and we the consumers are just caught in the middle powerless. I do apologize for the troubles you are having with the EVGA rebate process. I can assure you that we are here to assist and support you as best we can. If you haven't already done so, then I would encourage you to contact our Support team by email: inquiry@evgarebate.com with your Rebate Tracking ID# so that we can further assist you. Cons: loud. really freaking loud. Other Thoughts: this is probabaly the best you can currently get for 299. however I suggest going MSI and spending just a little bit more because then it won't be loud as garbage. I do apologize for the troubles you are having with your EVGA GTX 1060 graphics card. I can assure you that we are here to assist and support you as best we can. 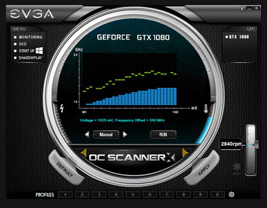 If it appears that the fan is at an abnormal level of noise, then I would encourage you to contact our 24 hour Technical Support team by phone 1.888.881.3842 and pressing option 1 or by email: Newegg@EVGA.com with your reference# 3407124 so that we can further assist you with warranty services if needed. Pros: It's a nice "budget" gpu that respinds fast andoverclocks manually if you don't know how to do that stuff. Well spent money right here. Cons: It it had a back plate, it would look a bit cooler but it does not affect performance. Other Thoughts: I know it doesn't really affect the product, but it came 2 days late. That's my problem though, so to whoever buys this, you won't regret it. Other Thoughts: Card is a couple years old now but has performed flawlessly in that time. No complaints at all and EVGA is always the best for customer service if there is ever a problem. Pros: it's small in length, super fast, and easy to setup..
Other Thoughts: I would highly recommend it as well as Newegg as the seller!!! Other Thoughts: Bought this for a friends build with a 2200g and it gets about 100fps on fort at ultra. Very quiet, great price and aesthetically pleasing. Pros: Good price: Bought for 329.99$ plus 20$ MIR, and also have a free Monster Hunter: World comes as a gift from Nvidia. Proper performance: A default frequency from 1607-1835, which is the best among all 1060 products, which helps run well on my games such as World of Warships, PUBG, Watchdog, Just Cause 3, etc. Perfect size for any build. Better energy consumption compared with RX 580 or 590. 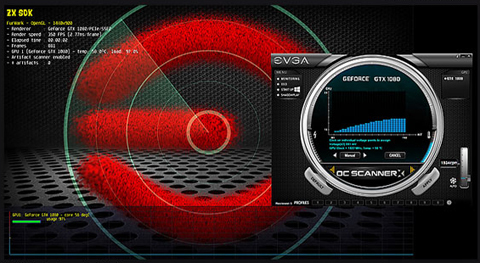 Nice EVGA boost software, easy access and easy usage. Cons: Not that much strong compared with 20 series and also the brand new RTX 2060 is coming early 2019. 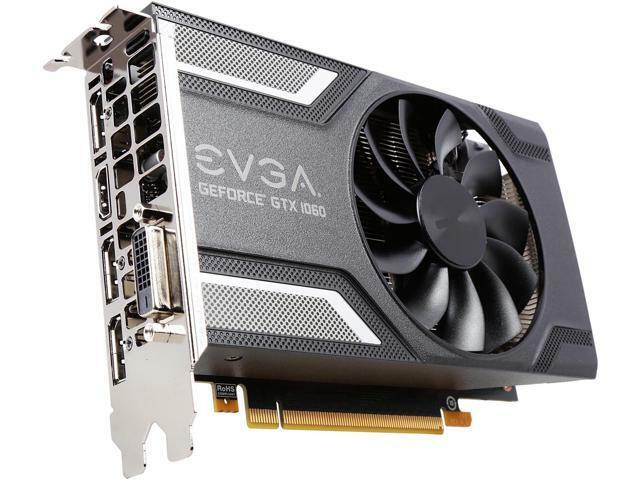 Other Thoughts: Suggest this card for less than CDN 360$. BTW, I love Newegg, saves me a lot from Quebec.